New album featuring "Head Above Water" and "Tell Me It's Over"
Global superstar Avril Lavigne's first album in more than five years includes the title track "Head Above Water" and "Tell Me It's Over." 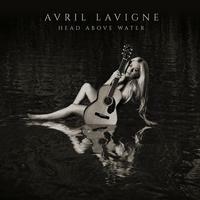 Head Above Water was written while coming out of the darkness surrounding her 2014 Lyme Disease diagnosis. In the midst of her battle, she sat behind a piano and sang past the pain, architecting the early framework for her new album. 2017 represented a turning point as she slowly, but surely recovered strength and started recording again, starting with the fi rst single "Head Above Water." And over the course of Avril's sixth full-length album and debut for BMG, she holds nothing back. She details each trial and tribulation from a perspective of triumph and emerges stronger than ever before. You're hearing the songstress as she was always meant to sound. "This is me and my fight," she affirms. "This album tells my story." weighed heavy on my mind and heart. I sat at the piano and wrote my life." Over the course of nearly two decades, Avril's global sales have eclipsed 40 million albums and 50 million singles with five albums bowing in the Top 5 of the Billboard Top 200 and two at No. 1. Among countless accolades, she garnered eight Grammy Award nominations and took home eight Juno Awards. She stands out as "one of the Soundscan-era's top-selling artists releasing albums in the U.S." and "third best-selling Canadian female artist of all-time." Billboard placed her in the Top 10 of its "Best of the 2000s" chart.